The Tiobe Index for 2018 ranks Python as one of the most popular programming languages in the world. Owing to accessibility and ease-of-use, Python has managed to climb into the ranks previously dominated by C, C++, and Java. Given that systems programming is harder to do than regular programming because of the high degree of hardware awareness needed, choosing the right programming language becomes imperative for success. While C has enjoyed dominance in the systems programming space, new codes, new challenges, and new architectures are slowly loosening C's grip, especially when it comes to embedded systems programming. So, what makes Python great for systems programming? Let's take a look. Developer productivity is dependent on the complexity of the language. If a language is hard to write, is indecipherable to anyone except the original coder, is subject to unexpected hardware dependencies, or is prone to error then it is a productivity deterrent. Today the emphasis has to be on ease of use and modularity, code reliability, error reduction, writability, and readability - exactly what Python offers. Embedded systems, in particular, are getting complex. Embedded algorithms even more so. As simple control loops get replaced by neural networks and other heavily-involved processes, systems programmers need access to extensive libraries that can help them optimize their systems programming code for such processes. Python offers libraries like Theano that help in Python code optimization for such processes. 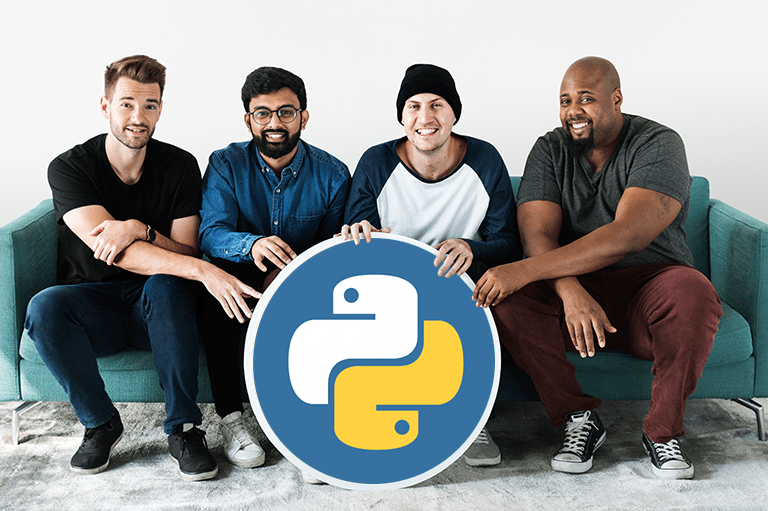 Python has thriving code libraries, the Python package index, and has PyPI with over 80,000 modules that developers can leverage to optimize their code and dramatically improve their productivity. One of the strongest aspects of Python is its ability to create custom code quickly. However, along with this, developers need to assess if the language in use allows frequent compiler checks and has the ability to seamlessly compile the lower-level code with higher-level features. Python offers all this along with being typically fast enough on microcontrollers. It has a system managed memory which can be of significant help. The GIL (global interpreter lock) used in several Python implementations help in multi-threaded performance. Additionally, Python also has a hardware abstraction layer (HAL) that provides an interface which allows the Python application to communicate directly with the underlying hardware. Developers also have access to libraries like Theano that optimize extensions for Python. The Just-In-Time (JIT) compilers help additionally in improving Python's runtime speed. Error-handling is a necessity when it comes to systems programming. The programming language in use must have the bandwidth to manage exceptions when things do not go as planned. Given that Python is an object-oriented programming language, it offers programmers the benefit of exception and error-handling in runtime. Python has some great defined exception classes such as assertion error, overflow error, arithmetic error, import error, indentation error, syntax error etc. that automatically create an Exception object and make the exception and error-handling easier. Along with the generic exceptions, developers can also create custom exceptions with custom messages to serve their specific purpose. Testing in systems programming is a whole new ball game altogether owing to the myriad complexities involved. Limited or no access to hardware, limited resources of the systems software, high hardware dependency, different application development, and execution platforms, hard to reproduce defects and a constantly increasing focus on zero-failure objectives makes testing a big challenge. However, with Python, we can mitigate many of them. Creating custom code easily is one of the strong points of Python. However, the strong code only comes from strong testing. Writing tests with Python is very easy and fast. It has its own unit testing framework. As Python allows programmers to express concepts in fewer lines of code, it helps in developing more detailed and transparent tests. Python SDK's not only helped in writing test scripts for test automation faster, but they also allow seamless integration to any automated test runner. Python scripts can easily set configurations, put the system into a different state and test a vast variety of real-world use cases. Programmers also have the flexibility to develop parameters to analyze test data creatively with Python. Along with all this, Python also offers low resource usage, provides enhanced process control capabilities, and has strong integration and text processing capabilities. Additionally, Python works wonderfully as a communication middleman between the user and the underlying system. C has been dominating the world of systems programming for a while, but Python is emerging as a worthy competitor. This is owing to its vast developer base, suitability for technologies such as IoT, succinct programming capabilities, dynamic nature, and extensive support. Systems Programmers may soon have to figure out exactly how to accommodate Python into their systems programming efforts.